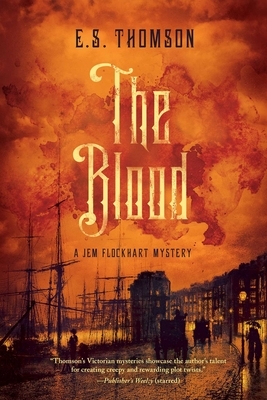 The Blood: A Jem Flockhart Mystery (Jem Flockhart Mysteries #3) (Hardcover) | novel. On shore, a young woman, a known prostitute, is found drowned in a derelict boatyard. A man leaps to his death into the Thames, driven mad by poison and fear. The events are linked--but how? Courting danger in the opium dens and brothels of the waterfront, certain that The Blood lies at the heart of the puzzle, Jem and Will embark on a quest to uncover the truth. In a hunt that takes them from the dissecting tables of a private anatomy school to the squalor of the dock-side mortuary, they find themselves involved in a dark and terrible mystery.